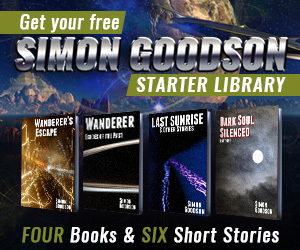 Sorry for the silence recently, but I’ve been busy re-reading the first three Wanderer books. It’s been great fun – although I know the overall storylines very well there were elements that I’d forgotten (which was part of the reason for the re-read). OK… that was a bit mean, but I couldn’t resist. There will be more serious chances to get hold of the story early (beta readers and advanced reviewers – more on a blog soon).